You see a map that shows territory of Japan. topographic map of Tomioka with gps calibration free download. free map of Annaka for gps. interesting map of Yoshii download for free. map of Uminokuchi calibrated for you. map of Tanokuchi download for free. 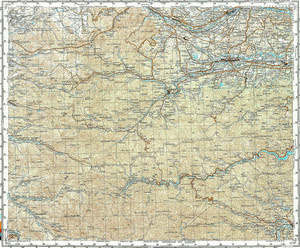 topographic map of Shimonita и OziExplorer calibration displayed. detailed map of Otomo here. actual map of Ogano 1 cm to 1 km for gps. topographic map of Ogai и OziExplorer calibration download for free. interesting map of Obata и OziExplorer calibration download for free. free map of Nishi-kami-isobe 1 cm to 1 km here. interesting map of Motojuku и OziExplorer calibration download for free. interesting map of Matsuida download for free. map of Mamba displayed. actual map of Kuroda calibrated here. interesting map of Komagome with gps calibration displayed. interesting map of Iwado calibrated for you.